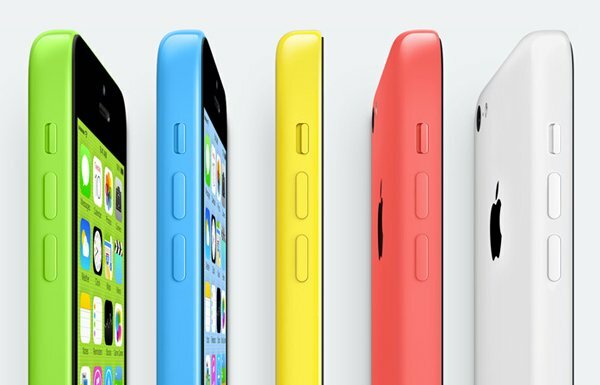 If you’re still in the market to purchase an iPhone 5c, we’ve got some great news. According to MarketWatch, Walmart is offering the 16GB version of the colorful handset for just $45 with a two-year contract. And the deal will last at least through the holiday season, which should help drive sales of the mid-tier model. 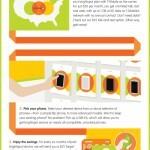 Even before the phone officially hit the market, the mega-retailer was offering the handset for just $79. But I suspect the new price cut will help bring even more customers inside stores, which is something Walmart needs at this time of year. Not to be outdone, Radio Shack is also offering a nice bargain. Until Saturday, Nov. 2, in-store iPhone 5c buyers will receive a $50 gift card that can be used toward their handset purchase. Obviously, buyers will have to sign a new contract. 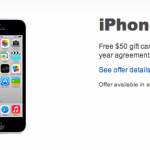 Best Buy apparently started the markdown wars by recently announcing a new offer that gives in-store iPhone 5c buyers a $50 gift card with a contract. That deal will last until Monday, Oct. 7 While there are an abundance of iPhone 5c models to go around, the high-end iPhone 5s is still suffering from widespread shortages across the United States. If you’re looking for a silver or gold handset at an Apple Store, a Web-based resource we reported on earlier this week is a great place to start a search.